Is The Silencer Gun Issue Leaving Us More Tone Deaf? Is The Silencer Gun Controversy Leaving Us More Tone Deaf? I actually began writing this piece before the recent, murderous carnage in Las Vegas. No words can fully express the shock and sorrow I feel for everyone involved in that senseless massacre. The tragedy of Las Vegas does not stay in Las Vegas because it touches each and everyone who has a moral mind and caring heart. What I originally intended was that the following be part of a larger piece, but based on today’s disturbing reality, I believe the issue below needs to be addressed—and addressed singularly and separately. You may or may not know this but in play in Congress now is a piece of legislation known obscurely as “Title XV” or less obtusely “The Hearing Protection Act (HPA)”. Unfortunately, it reveals just how tone-deaf American politicians have become to making common sense decisions. This bill would make it much easier for nearly anyone to purchase silencers for their automatic and semi-automatic assault rifles, hunting rifles, shotguns and handguns. The HPA is currently part of a larger and very insidious bill titled the “Sportsmen’s Heritage and Recreational Enhancement Act” which I'll explore in a future column. Some also reference it by acronym or “The Share Act” (HR 3668). The SHARE Act itself is intended “to provide for the preservation of sportsmen’s heritage and enhance recreation opportunities on federal land, and for other purposes.” That sounds benign. But should the HPA pass as part of the SHARE Act or as a stand-alone bill, anyone could purchase a silencer from a licensed dealer if they pass the same, basic background check now required for purchasing sporting arms. Or, they could be purchased over the internet, or at gun shows without any background check, because being viewed as transactions between private individuals, these venues are exempt from federal oversight (i.e. the “gun show loophole”). It should be noted that silencers have been tightly regulated, but legally available to the shooting public for over 80 years—more on that in a bit. So, who is behind this effort? The bill’s supporters fall into three general categories: sport shooters, hunters, and, most influentially, the manufacturers of guns and silencers. It should then come as no surprise that the NRA is in full support of this bill, as is Safari Club International, the National Shooting Sports Foundation, and the single-focus, American Silencer Association– as well as Donald Trump Jr. In addition, a separate and earlier version of the HPA (HR 367) had 164 congressional co-sponsors. After a few modifications, this bill became Title XV of the SHARE Act in July of this year. Contrary to what we see—and hear—in Hollywood movies, silencers do not silence gunshots, they simply muffle and disperse the sound (and reduce recoil). On average, silencers reduce a gun’s report by about 30 decibels– an affect roughly equivalent to wearing properly fitted ear protection. As such, silencers might more accurately be referred to as sound suppressors. For example, a typical hunting rifle fitted with a silencer will have a shooting noise level of about 130 to 140 decibels (dB), approximately the same level of noise as a jet taking off– and a bit more than what might be experienced in a roisterous nightclub, and 10 to 20 dBs louder than a rock concert. "A typical hunting rifle fitted with a silencer will have a shooting noise level of about 130 to 140 decibels (dB), approximately the same level of noise as a jet taking off– and a bit more than what might be experienced in a roisterous nightclub, and 10 to 20 dBs louder than a rock concert." (Some hearing loss can occur with long-term, intermittent exposure to sounds at 85 dB, or within a minute of an uninterrupted noise level of 110 dB or more). Unfortunately, silencers can also limit the effectiveness of some gunshot location detection technology that many larger cities deploy to locate the source of gunshots. And similarly, they impact the ability of our own ears to detect the source of gunshots. When a madman’s bullets begin flying, seconds count. How many more innocent victims in Las Vegas might have been wounded or killed had the shooter had 5 to 10 or more seconds because police had trouble locating the source of “silenced” gunshots? Understandably, hunters do not want to wear anything that would hinder their hearing when out in the field; they want to be aware of what is gong on around them. Likewise, hikers too would like to know what is going on around them when out enjoying our public lands, particularly during the hunting season. Think of hiking through Grand Teton National Park with its “elk reduction program” that allows citizens with "silenced' rifles to open fire on elk. Silencers would make easy detection of their location that more difficult and lack of detection much more dangerous But really, this would be an issue for any public land where recreationists wander, during hunting seasons or where open shooting is allowed. The Federal Bureau of Alcohol, Tobacco and Firearms (ATF) have regulated the purchase of silencers since 1934. It is estimated that nearly one million silencers are currently registered in the United States. Today, in order to obtain a permit to purchase a silencer, an applicant must submit to a detailed background check conducted by the FBI, including providing fingerprints and duplicate U.S. passport photos and proof of residency in a state that allows ownership of silencers. 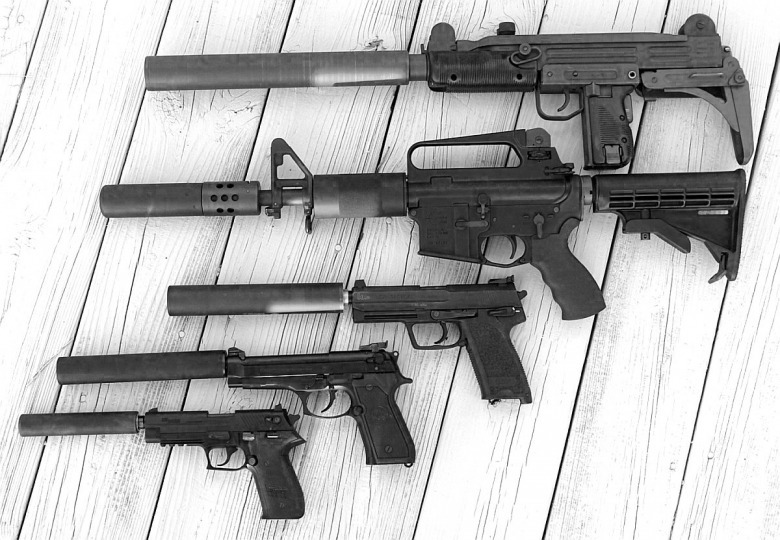 A separate $200 tax is required for each silencer permit and processing may take anywhere from three to 12 months. Today, the average cost of a new silencer runs from $400 to $1,000. Passage of the HPA would do away with the strict ATF background check, relying instead on the simple background check now required for purchase of a sporting gun. Individual states would still be allowed to regulate silencers if they so chose. Currently, forty-two states allow private ownership of silencers, and at the moment, 40 of those states allow their use for sport hunting and in the west, only California prohibits their use for hunting. In 2013, the Wyoming legislature passed a law allowing the use of silencers for licensed hunting, “varmint” shooting and “anywhere where game may occur”, including shooting ranges. The Wyoming Wildlife Federation, Wyoming Game Wardens Association and Wyoming's AFL-CIO's Union Sportsmen Alliance all came out against the use of silencers, calling them "a poacher's dream," and considering them unethical and contrary to the sportsmens' code of fair chase. "In 2013, the Wyoming legislature passed a law allowing the use of silencers for licensed hunting, “varmint” shooting and “anywhere where game may occur”, including shooting ranges. The Wyoming Wildlife Federation, Wyoming Game Wardens Association and Wyoming's AFL-CIO's Union Sportsmen Alliance all came out against the use of silencers, calling them 'a poacher's dream,' and considering them unethical and contrary to the sportsmens' code of fair chase." The fact is, for the past 80-plus years, anyone being above board could purchase a silencer after passing the ATF background check, payment of the $200 fee and prove residency in any one of the states where silencers are legal. Interestingly, and often overlooked in the debate regarding silencers, anyone and everyone can immediately get the same degree of hearing protection by simply purchasing earplugs or earmuffs for a few dollars. The only legitimate argument for silencers comes from the small number of folks who shoot repeatedly while out hunting. But even they can purchase a silencer if they so desire and complete the ATF procedure. I wonder, how many supporters of the HPA, particularly those within the hunting community wear hearing protection while in a crowded bar with loud music (100-110dB), or when attending a rock concert (110-115dB)? How many show the same concern for their hearing when using a power lawnmower, chainsaw or snow blower for extended periods (85-95dB), or while attending a large sporting event (105-130dB), or a day-long snowmobile racing event (75-95dB)? From personal experience, I can attest that exposure to loud noises, including gunshots can cause hearing damage or loss if proper precautions are not taken. But to change a law that has protected citizens for over 80 years just to make it easier for a small number of hunters to purchase silencers for their weapons seems ill advised. Particularly when law-abiding hunters and sport shooters throughout the West can already purchase gun silencers. If the Hearing Protection Act becomes law, the sale of silencers will explode and gun sales will inevitably jump too, because many of the older guns in public hands do not accommodate silencers. Clearly, the biggest beneficiary of the HPA will be the gun and silencer manufacturing industry. Eliminating the current Federal permit process will certainly make it easier for the law-abiding, shooting public to purchase silencers, but it will also make it much easier for the “bad guys” to attach silencers to their guns. And it could result in more people unsuspectingly running into hunters in the woods. Is that a trade-off we want? If the recent gun carnage in Las Vegas can teach us anything, it should be that gun silencers must remain tightly regulated. Is weakening the law in order to accommodate a very small segment of the hunting community worth jeopardizing the safety of the greater American public? Particularly when that small segment of the public can already purchase the guns they want and hearing protection they so desire? 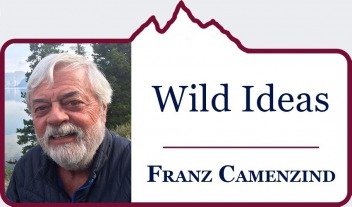 Wild Ideas columnist Franz Camenzind, a longtime resident of Jackson, Wyoming, has a diverse background. 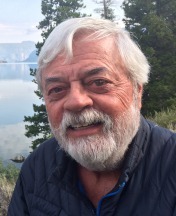 A field researcher by training, he helped pioneer new appreciation for the social structure of canids, namely coyotes; he was an award-winning wildlife cinematographer working for companies ranging from BBC to National Geographic, including a project in which he was the first to film pandas in the wild; he served as executive director of the Jackson Hole Conservation Alliance and he was a founding member of the Greater Yellowstone Coalition.